Durham batsman Dale Benkenstein has described breaking the county's all-time scoring record as a 'special' moment in his career. The 37-year-old passed Jon Lewis's record of 7,854 runs with innings of 83 and 60, as Durham beat Lancashire by five wickets. "It was nice to do it in this game, because the focus was on winning," Benkenstein told BBC Radio 5 Live. "It's a special thing for me, Durham has been an amazing part of my career." 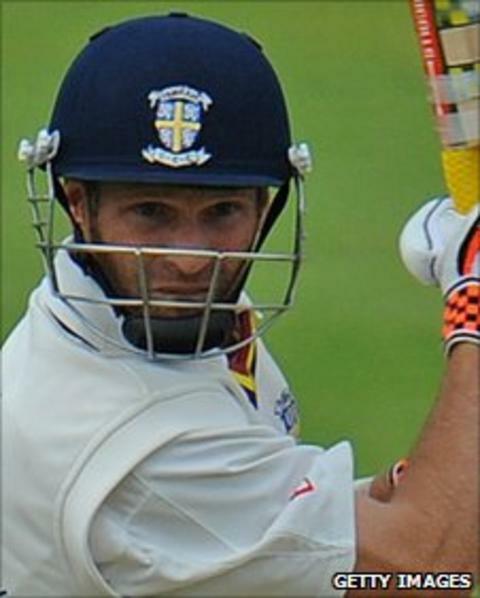 South Africa-born Benkenstein, who joined Durham in 2005, has been hugely successful at Chester-le-Street. As captain he guided the county to Friends Provident Trophy and County Championship titles in 2007 and 2008 respectively. He was then a key part of Will Smith's side that retained the County Championship in 2009. "You get to around 30 in South African cricket and if you're not playing, or have a chance of playing for South Africa then you're generally finished," Benkenstein said. "It was all I've ever done, and Durham gave me the chance to continue playing, and I've always been grateful for that and I've played my part too. "I want to keep my body in one piece, it takes the strain at 37, but I want to keep playing as long as I'm fit and contributing."